Well the next holiday to decorate for is St. Patrick's Day. 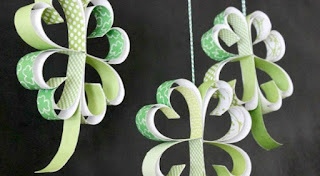 So if you are one who decorates for this holiday or has children or grandchildren that you want to make something for St. Patrick's Day here is a DIY project from the Hoosier Made Blog. Looks pretty easy and fun project to do with the kiddo's.